If you are planning to move to Mexico either permanently, or for any extended period, you will have to acquaint yourself with the various types of visas of the country. 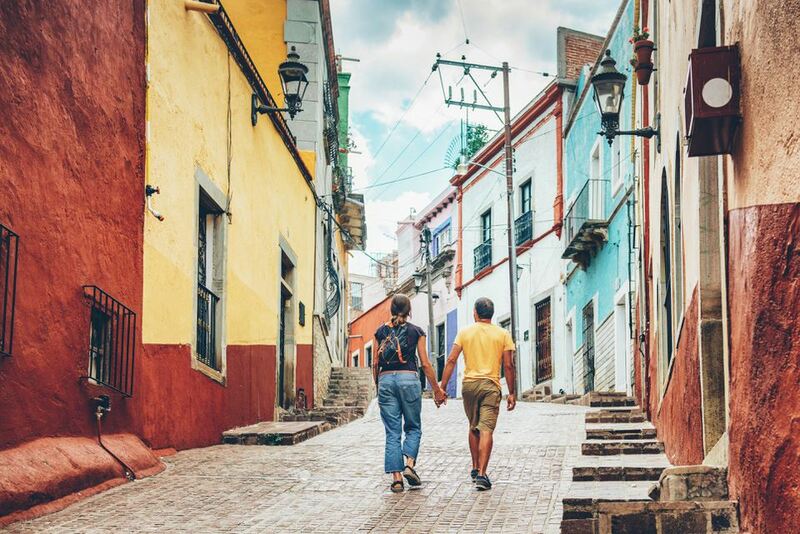 The FM3 Long-Term (or No Inmigrante), Non-Immigrant Visa is the document you need if you plan to stay in Mexico for anything longer than 6 months. This is a document that is renewable annually. For most foreigners living in Mexico, this is the only visa they need. It gives them the right to live in Mexico under the conditions stipulated by the visa. This visa does not lead to permanent residency status or Mexican citizenship. The application process for an FM3 can be painful and drawn out just like in many other countries' bureaucratic immigration procedures. Yet, my sister and her husband had a fairly painless experience in Playa Del Carmen in the State of Quintana Roo. They did it all in just over a month, and without the use of a lawyer. My sister and her husband were fortunate in that they used the services of a shop set up to assist foreigners through the entire process - filling out forms and writing letters (all in Spanish, of course), helping them gather all the necessary information required in the process. Best of all, this shop was located just outside the immigration office, literally less than ten steps away! Keep an eye open. More often than not, there will be someone enterprising enough to have just such a shop near the Immigration Office to assist you. Total cost was approximately US$500. This included the fees paid for the actual visas, as well as for the assistance the shop gave them, including the photos and photocopying (also provided by the shop). A cover letter (in Spanish) requesting the FM3. My sister and her husband had this provided for them by the shop. The letter must include your name, address, and a formal request to change your immigration status from Tourist to FM3. Also, indicate that you have rounded up the necessary paperwork and all items requested of you. Your tourist card that you received upon entering the country. This form is also known as the FMM. The original and copies of every page of your passport. A total of 5 recent infantile-size color pictures (3 frontal and 2 profile). Make sure you do not wear any jewelry for these photos. A utility bill showing the address at which you reside. A power bill works best (for some reason, they are not too particular if the bill isn't in your name). Proof of sufficient monetary funds to sustain a livelihood in Mexico. The amount required per month is regularly revised, and also varies for each situation, AND, more importantly, according to the particular office, city, and state where you are applying. The ballpark amount is the equivalent of US $1250 per person per month and an additional 50% of that amount for each dependent. You will need to show documentation - usually the last three monthly statements in your bank account. Your marriage certificate if applicable. You will be required to pay an application fee (approximately US $60): The Immigration Office (INM) will provide you with a form which you will take to a bank to pay the amount. When you return to the INM Office with the proof (from the bank) that you have paid the fee, the Office will then issue you a password (Contraseña). Together with your Application ID (Pieza), this password will allow you to check on the progress of your application. The waiting time varies, but my sister waited just under a month before she was informed online to return to the INM Office to obtain her FM3 visa. She and her husband celebrated that night.